From running a single server to moving your entire organization’s infrastructure to the cloud, there is a plan that’s right for your organization. Our Cloud IT solution comprises all services from assessment to migration. We provide a seamless process that keeps your critical systems up and running at peak times, while minimizing your overall ongoing cost, and offer you more flexibility and efficiency. We provide hosted email solutions that allow your company to get the most out of Microsoft Exchange, without the costs associated with buying and managing the hardware. Eliminate hardware and utility expenses by taking your server to the cloud. While a lot of businesses have started moving toward cloud computing for various parts of their business, there are still many that are unaware of the benefits cloud computing can offer in terms of server and infrastructure hosting. 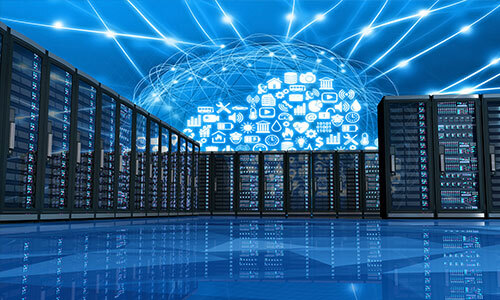 Many small and medium-sized businesses can benefit from utilizing BDNet Corp’s hosted solutions as a part of their company’s computing interface. By trusting BDNet Corp to host your company infrastructure, you are empowering your company with the highest levels of stability and reliability, and significantly reducing potential downtime. We also ensure that your data is constantly backed up as well as secured with the latest antivirus and security protections. Scalable virtualization options for your hardware. With our flexible options, BDNet Corp has a solution to fit any of your hardware virtualization needs. We can create and implement a computing infrastructure that is streamlined, while being fully equipped for maximum efficiency.